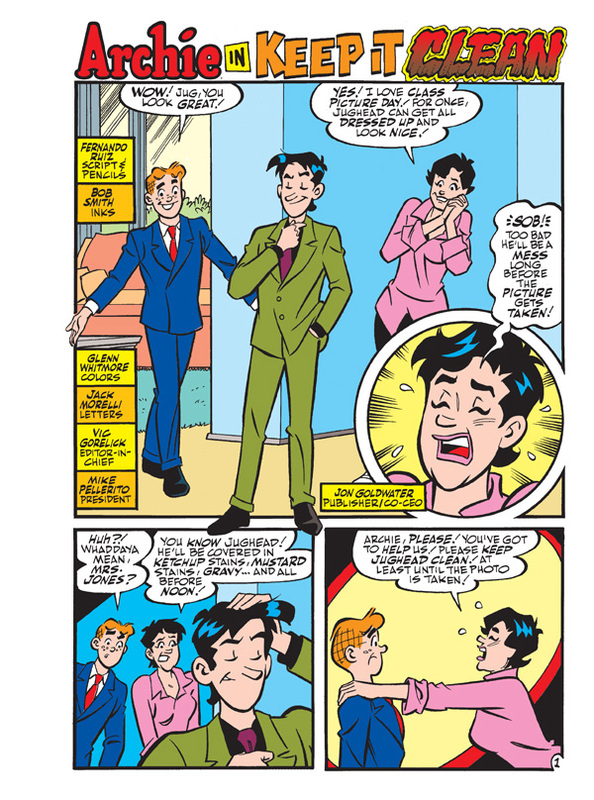 It’s School Picture Day at Riverdale High and Jughead, thanks to his mom’s relentless efforts, looks like a model student. 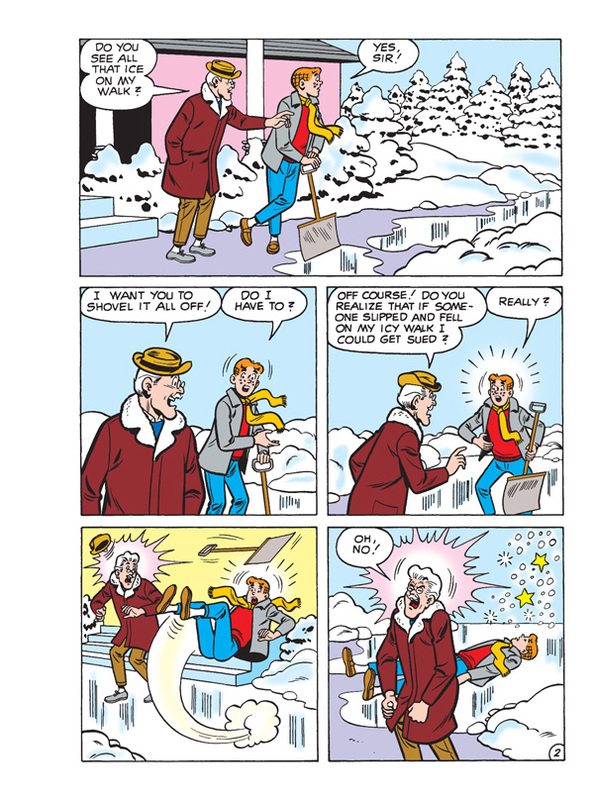 But that doesn’t mean he’s going to stay that way! 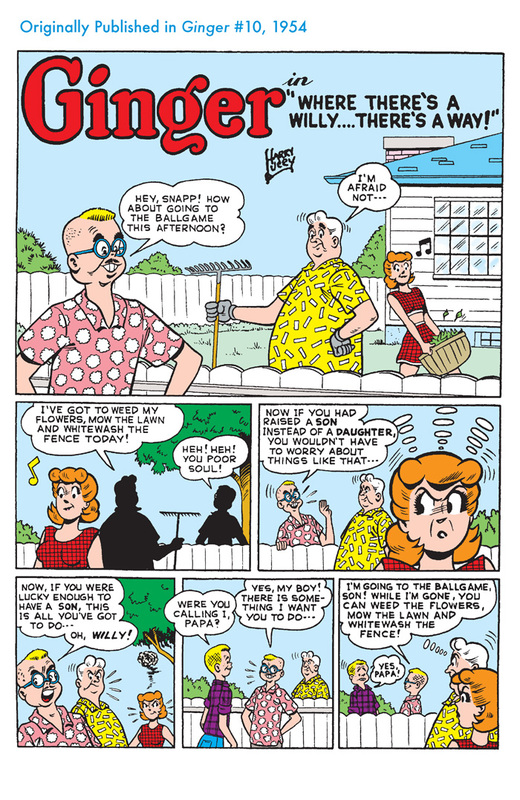 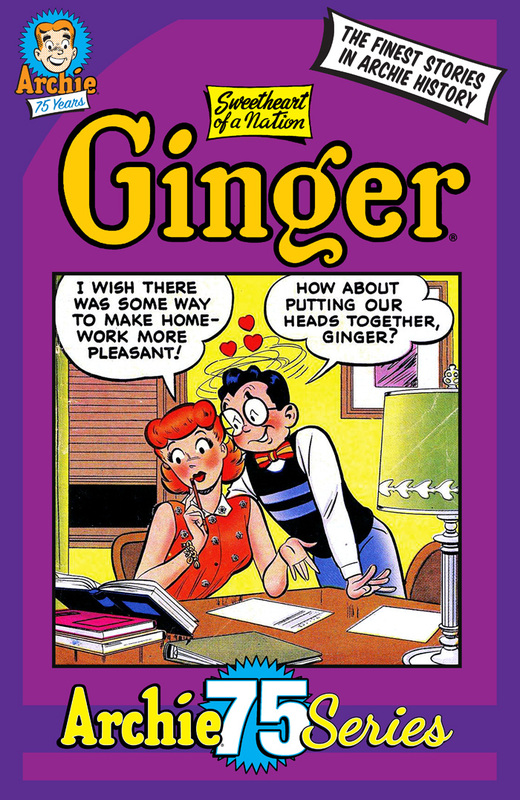 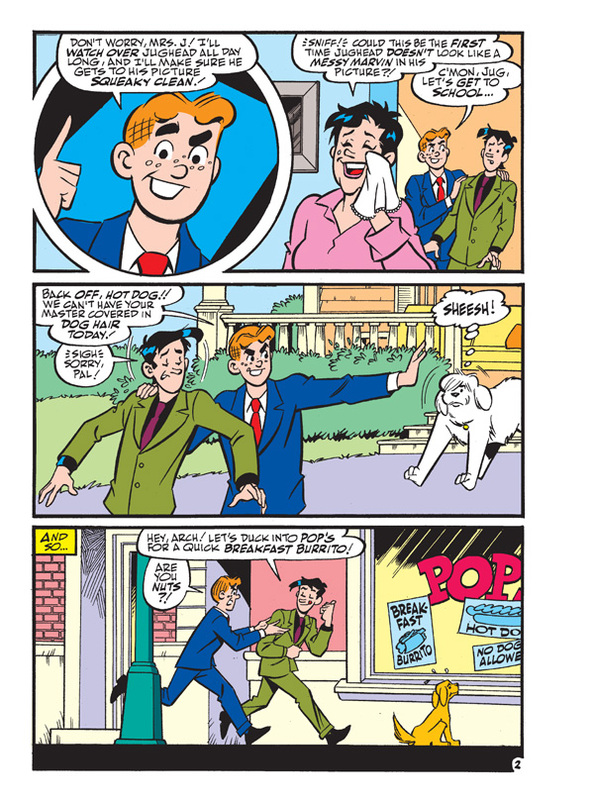 Mrs. Jones enlists Archie’s help to keep Jughead neat and clean for his picture. 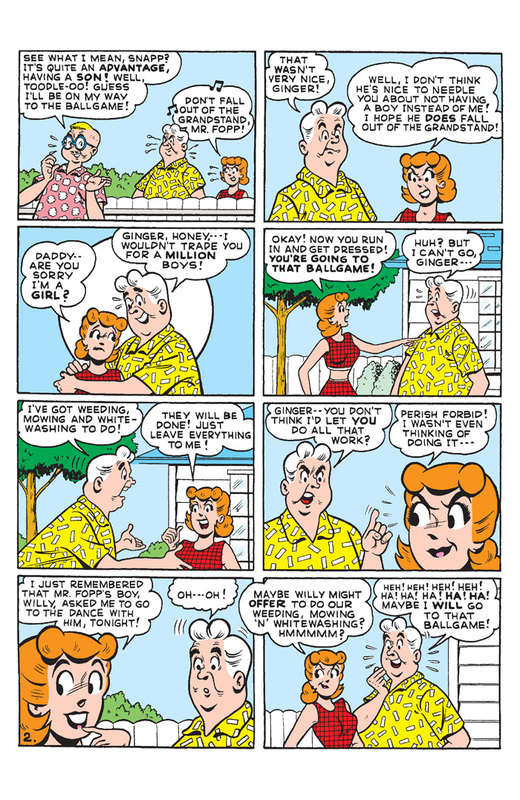 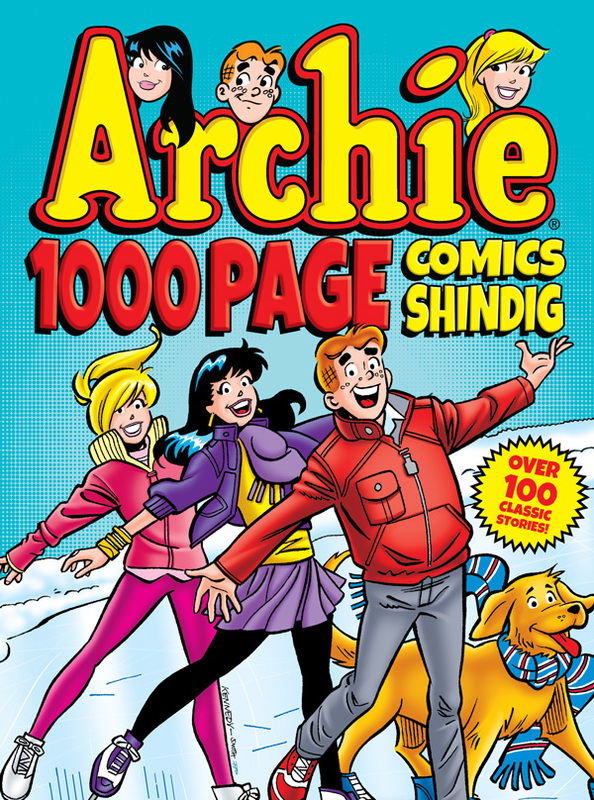 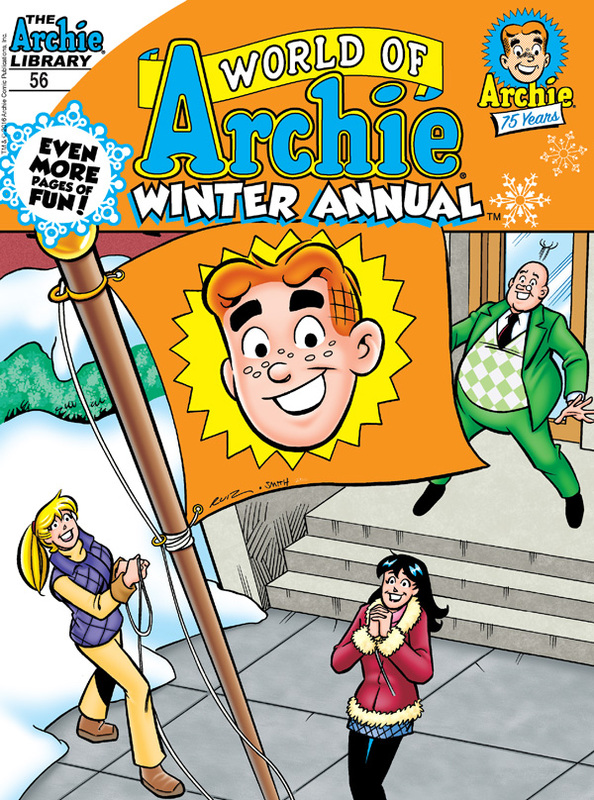 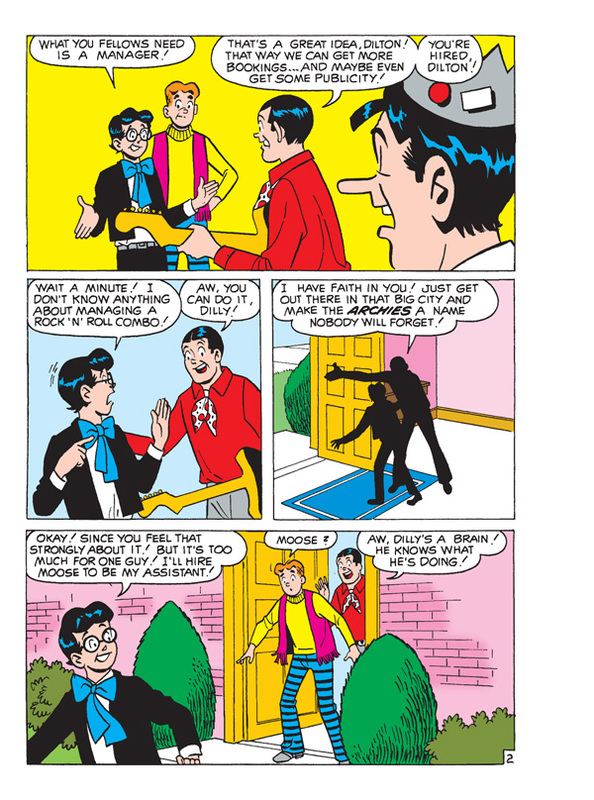 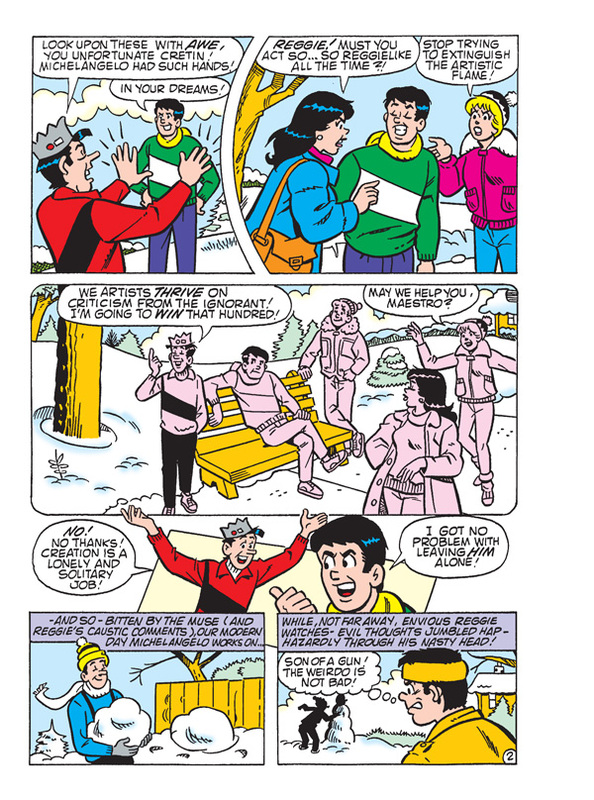 Archie takes on the challenge and promises to oversee Jughead the entire day until his picture is taken, but the mission proves to be far more difficult than Archie expected! 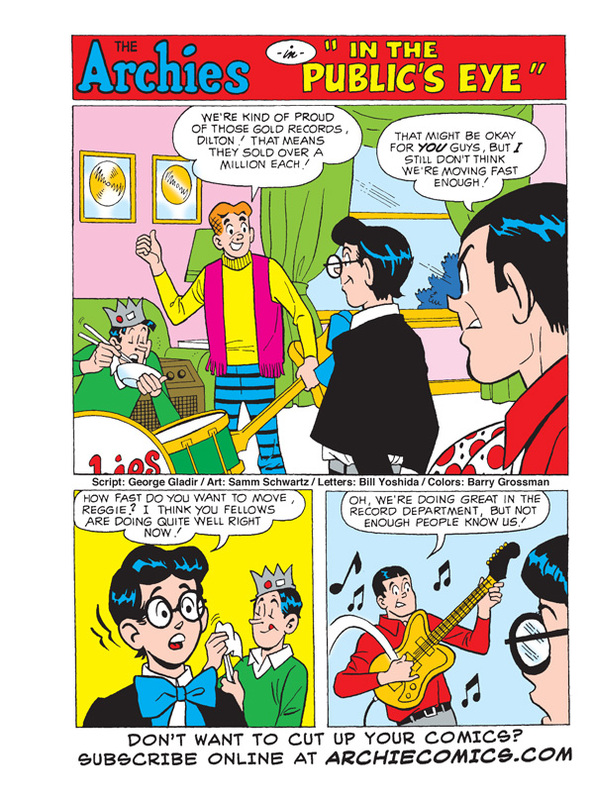 Can Jughead “Keep It Clean”? 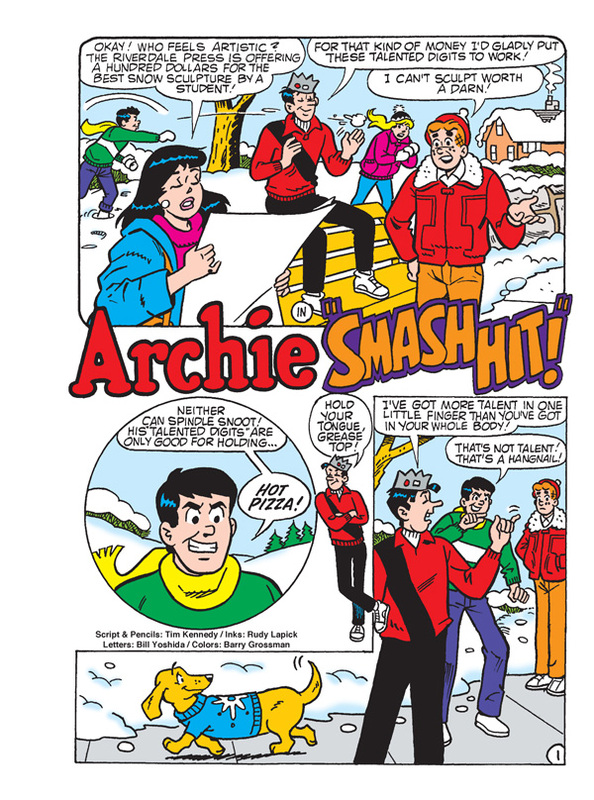 Find out in the entertaining lead story to this Comics Annual! 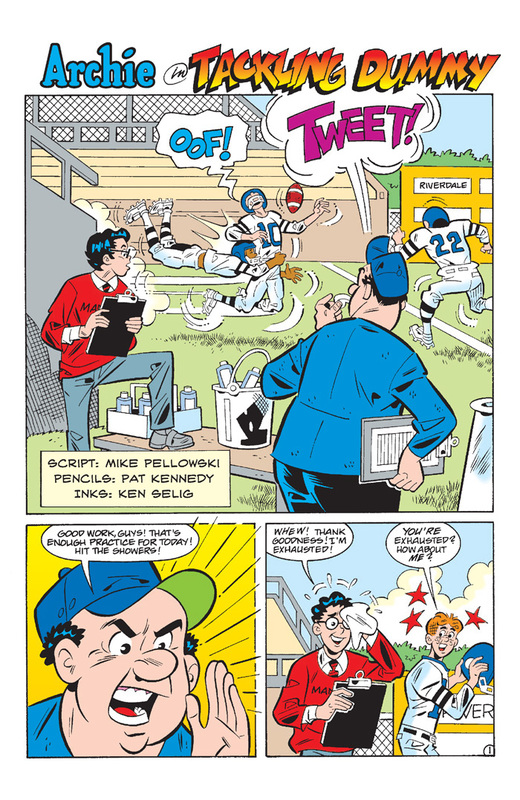 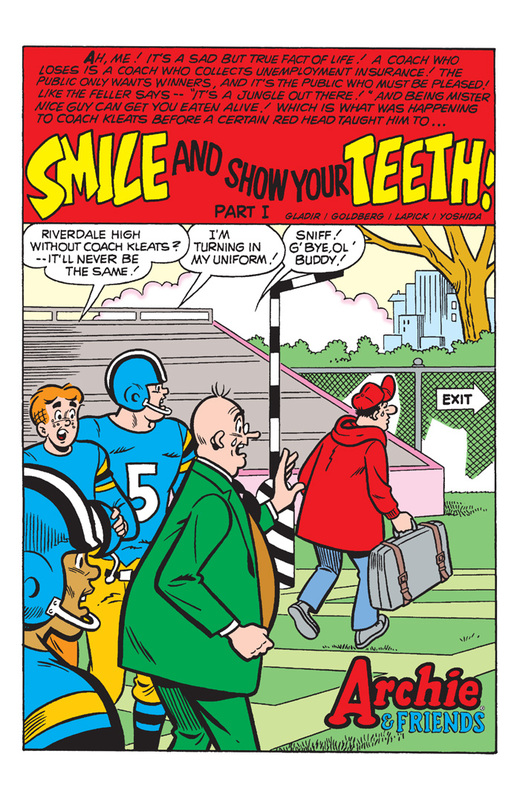 It’s time to hit the football field once again with Archie and friends! 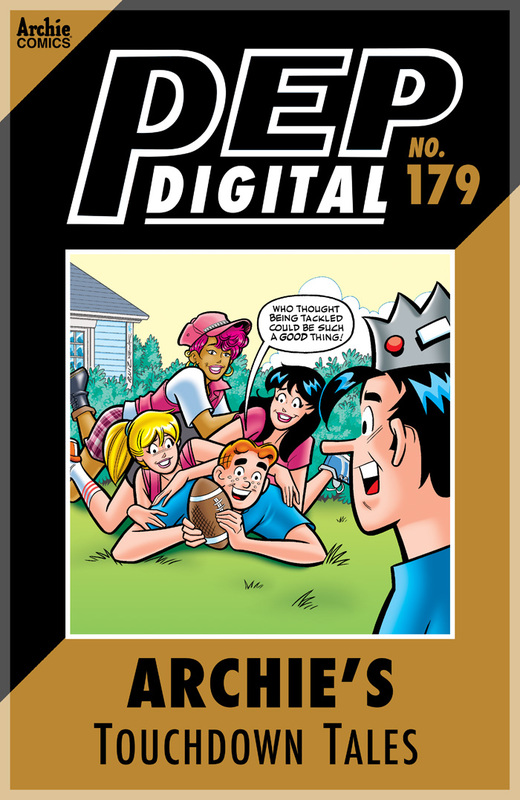 We’ve collected some of our favorite football stories for you in this issue of Pep Digital. 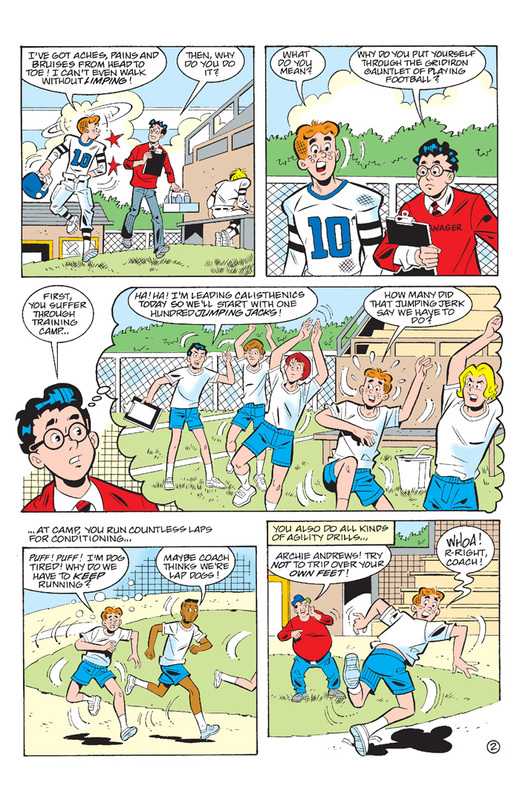 Can Archie score the winning touchdown? 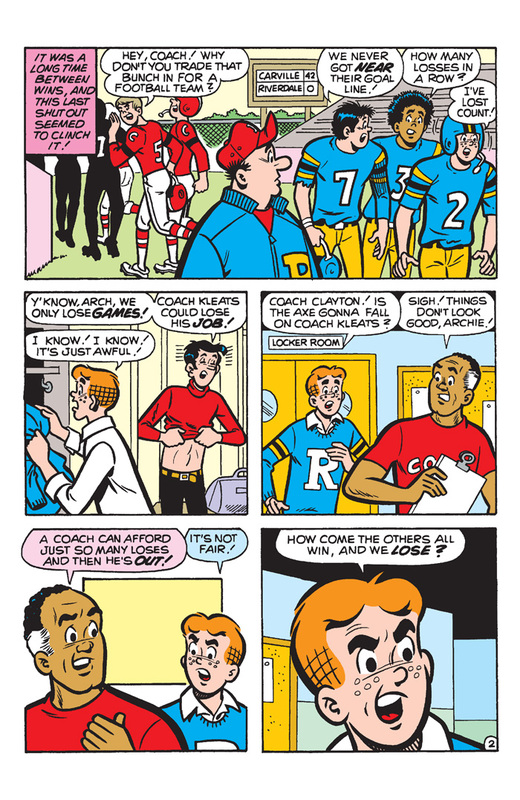 Will Reggie be a team player? 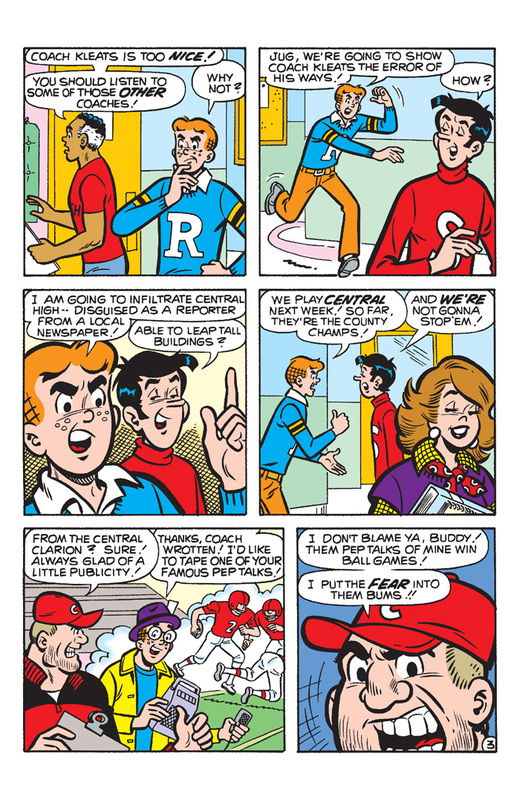 Will Moose crush the entire rival team single-handedly? 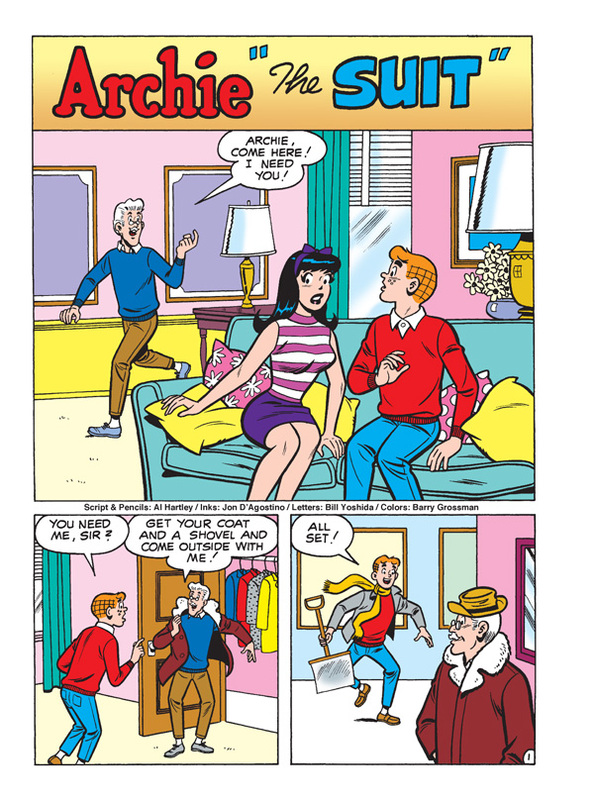 Find out inside!